FEAR gripped government yesterday forcing discussions with striking junior doctors as well as consultants and senior health practitioners, who on Friday issued a 48-hour-ultimatum, NewsDay can reveal. The ultimatum expired last night. It also emerged that the crisis meetings took place for the better part of yesterday between the Health Service Board (HSB) and a task force was set up by the Zimbabwe Medical Association (Zima) to mediate between the State and medical personnel. HSB vice-chairperson Auxillia Chideme-Munodawafa and Zima president Francis Chawora, flanked by taskforce chairperson Christopher Samkange as well as other officials, addressed a presser on the new developments. Following Acting President Constantino Chiwenga's decision to fire over 550 junior doctors last week, it emerged that government had gone ahead and recruited final year students, some whose results were yet to be known, sources told NewsDay. "It smacks of insincerity because on one hand, government has indicated it wants to talk, but on the other, it has gone ahead and recruited hordes of final year students, some of whom have actually failed. The results are yet to be known, but government already has a deployment list of the interns, who are supposed to replace the junior doctors whom the State reportedly fired last week," one source said. Another source said there were meetings throughout yesterday to try and find a solution to the impasse with a view to keeping especially senior doctors on the job and forestall a crisis. "The 48-hour ultimatum expires today (yesterday) and it would be difficult for hospitals because, for example, nurses cannot certify deaths. We are reaching a crisis point," NewsDay heard. Documents shown to NewsDay suggested a list of students has already been made out from local universities such as the National University of Science and Technology (Nust), University of Zimbabwe (UZ), and other medical colleges from across the world like China and Ukraine to be placed across the country. But a letter by students who wrote examinations in December 2016 and were awaiting their results to a Professor Masanganise of the Zimbabwe College of Health Sciences at UZ raised a red flag over the government's move. "We, the MDCHB V (2013 intake) students, recently wrote our exams in December 2016. We have been awaiting our results, as is the norm with the College of Health Sciences. Today, the 29th of December, a number of us received phone calls from human resources departments of various hospitals, mostly Parirenyatwa, indicating we had gotten internship placements and were asked to present ourselves immediately to sign preliminary contracts and assume internship duties," the undated letter signed by the students representatives said. "This goes against the contract we have with the University of Zimbabwe College of Health Sciences, which says that we receive results via the academics office of the university after a formal communication by the registrar of the university." 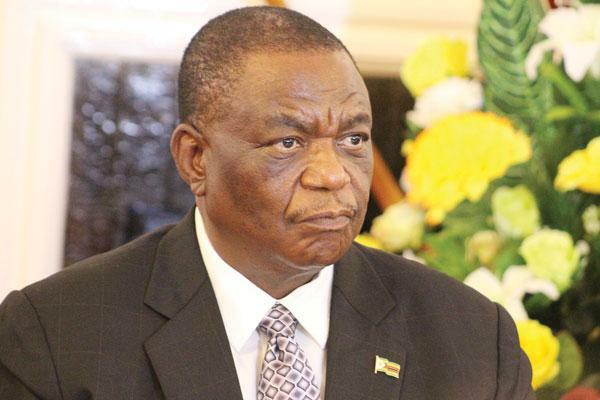 The students added that they were worried about the changes being effected to their programme, amid reports that Chiwenga had indicated he wanted the medical degree, which normally runs for seven years, to be reduced to a four-year programme. "We are concerned about the criteria used to place students into internship stations without formal disclosure of results. We are also concerned with the sudden change framework of our degree programme and internship programme that has been reported in the media and somehow highlighted in the contract that has been shown to some of our colleagues by the human resources departments," the letter said. Repeated efforts to get comment from government were unsuccessful yesterday. Zima secretary-general Sacrifice Chirisa said the ultimatum would be addressed by today afternoon. "The ultimatum will be addressed tomorrow (today) by 2pm. Please watch for the official statement tomorrow," Chirisa said. On Friday, senior doctors, consultants and registrars issued a 48-hour ultimatum demanding that government resolves the concerns by junior medical staff or they would join the industrial action. "We have noted with concern the way the protracted and on-going collective job action by the juniors and mid-level doctors has been handled and the impact this had on patients, the community and the profession. "Therefore, we are urging the Health Services Board to resolve the impasse within the next 48 hours. Consultants have been working very hard under these very difficult circumstances and will not be able to continue beyond the stated time period," the doctors said in a statement, adding dialogue was key. Sources within the Zimbabwe Hospital Doctors' Association also said there were meetings slated for today as efforts to resolve the issue continued. Yesterday, in a joint statement read by Chideme-Munodawafa, the parties to the dispute suggested a "truce" had been reached. "Government, through the same communication, committed itself to allowing duty exempt importation of vehicles meant for doctors and other health workers under the vehicle loan scheme, further committing itself to disbursing the outstanding $6 million by December 31, 2018 (today). "Government also through the National Pharmaceutical Company (NatPharm) has started receiving critical medicines and accessories needed for better health delivery in the country, with distribution being made to public hospitals," the statement read in part. While reports emerged that NatPharm was holding expired drugs, a claim government has rejected, the statement added: "The meeting further noted and was satisfied that NatPharm was mindful of and fulfilling its obligation to the public by ensuring safe medicines are availed to hospitals and clinics." The parties to the dispute also took note of a court judgment declaring the strike by junior doctors illegal. "The meeting was concerned that the junior doctors had not complied with the court ruling, thus putting themselves on the wrong side of the law. Both parties agreed that it was important for the junior doctors to return to lawful conduct by promptly resuming work in order to break the current impasse," the statement said. Chideme-Munodawafa, while admitting government had issued suspension letters, said there was a possibility these could be set aside. "If they return to work, as we have been urging them from day one, then this will be considered (in disciplinary processes). That is why you see the Zima taskforce here, it's efforts from both sides to resolve the issue," she said. Asked about concerns being raised by UZ College of Health Sciences students, HSB board member Memory Nguwi said all procedures were being followed. "The issue of recruitment is normal procedure and we are following procedure. No one has yet been recruited, it's preparatory work. The contractual issues that are being talked about on social media are not yet official," Nguwi said. Chideme-Munodawafa added government does not respond to social media, but uses formal channels of communication.